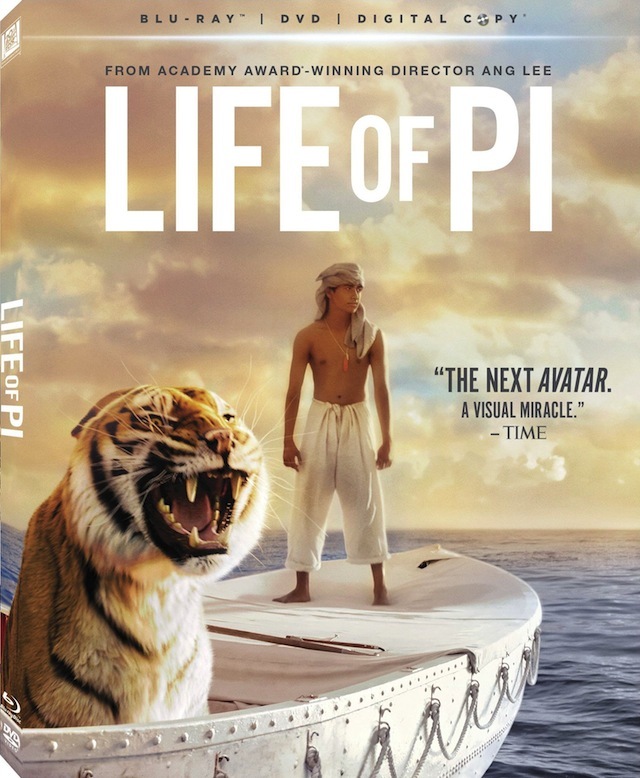 Life of Pi is a true masterpiece, and is one of the most visually stunning films I have ever seen. Director Ang Lee has done what many thought could not be done, he turned the best-selling novel into a larger-than-life work of art. Not only that, but it is actually one of the best book-to-movie adaptations for a long time. The film tells the story of Pi Patel (Suraj Sharma / Irrfan Khan), zookeeper’s son. Pi is uprooted from his home in Pondicherry, India, when his father decides to move their zoo to Canada. The family catches a ride on an ocean freighter along with the animals – imagine a modern-day Noah’s Ark. When a massive storm rocks the freighter, the boat sinks – and Pi finds himself one of the few to survive. 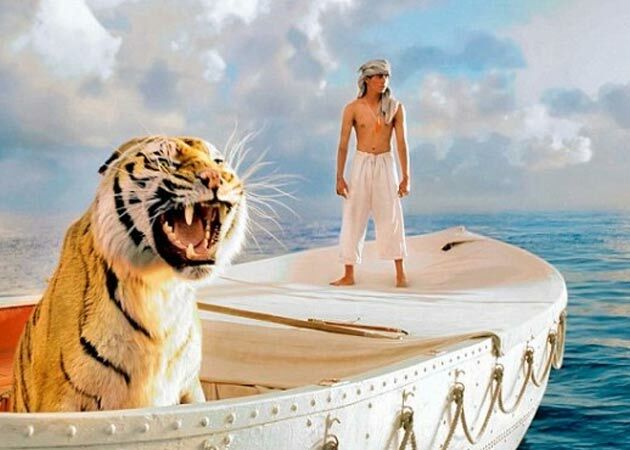 He is all alone in a lifeboat with a zebra, a hyena, an orangutan and a ferocious Bengal tiger named Richard Parker. Yes, it sounds far-fetched and unrealistic – that’s what I though too. At every twist and turn, I expected to laugh out loud at the absurdity of it all. But I didn’t. It is genuinely one of the tensest, most captivating movies I have seen in a long time. It takes a story of fantastical proportions and not only makes you believe it, but makes you care about it. The acting is magnificent, to say the least, with newcomer Suraj Sharma (teen Pi) tugging the heat-strings in all the right places, and Irrfan Khan (adult Pi) reservedly superb as naval-gazing narrator. Simply put, Life of Pi is glorious. A marvel that takes cinematography to new heights with its crisp rendering of dreamlike landscapes and its fierce yet fascinating feline co-star, all while delivering a poignant and inspiring story of human endurance. A Filmmaker’s Epic Journey: Not many Blu-Ray can tout over an hour-long documentary, The four-part making-of documentary shows the four-year filming process, and covers everything from the adaptation of the novel, filming, and the lengthy post-production process. The documentary includes interviews with the cast, and focuses heavily on Ang Lee and newcomer Sharma. A Remarkable Vision: The award-winning visual effects are spectacular. Bill Westerhofer and the team at Rhythm and Hues visual effects show how they were able to make the film look realistic. Tiger, Tiger Burning Bright: This feature focuses on the CGI used to create the tiger with the help of a real-life tiger. Gallery: The feature gives a peak at the pre-production art, which you can watch in an auto-play slide show. Storyboards: The feature shows the storyboards used for seven of the big scenes in the film. If you have not seen this Academy-Award winning movie yet, buy it on the spot. You won’t regret it.